A Michigan man was killed Tuesday morning in Peterborough, New Hampshire by a police officer after a brief pursuit. The New Hampshire Attorney General’s Office identified the deceased male as Lane Lesko, 19, of Ann Arbor, Michigan. An autopsy conducted Wednesday determined his cause of death to be a single gunshot wound. Senior Assistant Attorney General Jeff Strelzin said Lesko crashed the BMW he was driving on Route 136 in Peterborough and got out. There was some sort of confrontation with police, and the officer opened fire. 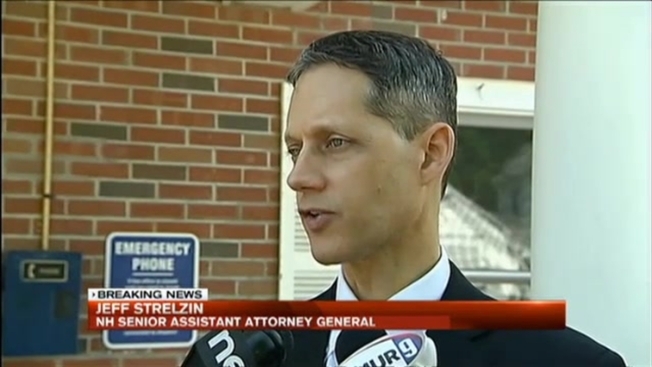 The attorney general's office has not revealed the name of the officer who opened fire, or which agency he works for. What led to the pursuit in the first place also remains unclear. A witness, Frank Mogavero, told necn he observed a Greenfield police cruiser following the man moments before the fatal encounter. The BMW had a dealership plate, but investigators would not say if the car had been stolen. Lesko had been reported missing by New Hampshire Fish and Game earlier in the week after running away from a camping and canoeing trip at Lake Umbagog on the New Hampshire/Maine border on Sunday morning. A canoe, pontoon boat and truck were reported missing around that same time and it is believed that they were connected to Lesko's disappearance. The camping and canoeing trip was organized by Summit Achievement, which serves adolescents aged 13 to 20 from around the world who are experiencing difficulty within their family, school, and/or personal lives.